Courtesy of Frank Hardy Sotheby’s Int’l. Settled in 1790, and known as the “jewel” of the Blue Grass Valley, Dividing Waters Farm encompasses 875 +/- acres of fertile valley nestled between Monterey Mountain to the east and Lantz Mountain to the west. 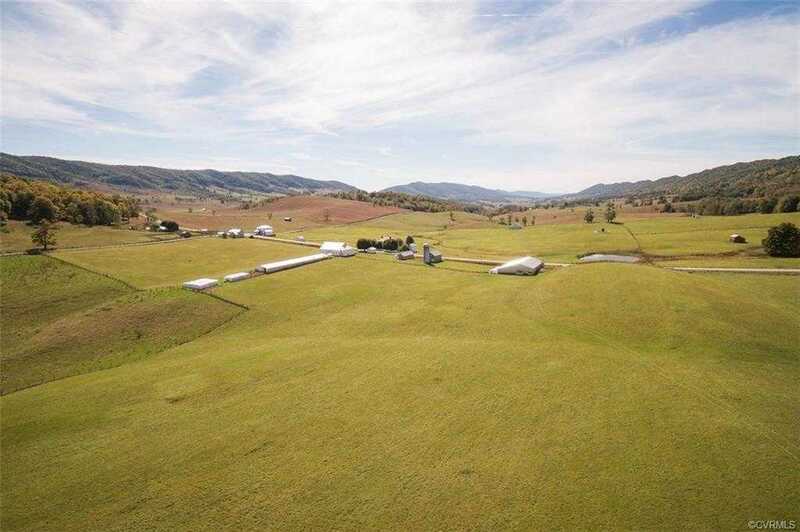 Located in Highland County, Virginia’s Little Switzerland, this property rises as high as 3800+ feet with plenty of crisp, pure mountain air, and provides the perfect location for cattle and sheep farming with lush pastures and meadows. On the market for the first time in seven generations, Dividing Waters presents a rare opportunity to own a Virginia Century farm. This designation means the farm is inhabited and/or farmed by a descendant of the original owner, has been in the same family for at least 100 years. Please, send me more information on this property: MLS# 1742883 – $3,250,000 – 5573 Mountain Turnpike, Monterey, VA 24465. I would like to schedule a showing appointment for this property: MLS# 1742883 – $3,250,000 – 5573 Mountain Turnpike, Monterey, VA 24465.